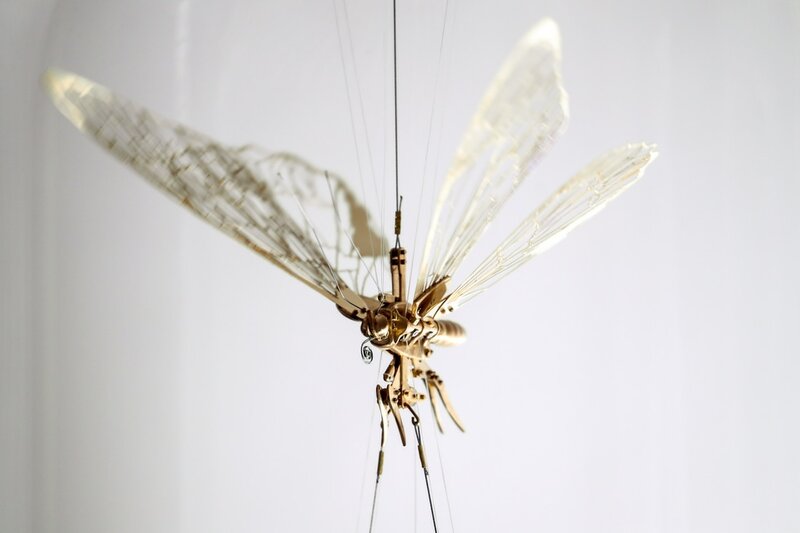 In 2014 Oliver Smart and Folded Feather were presented with the extraordinary opportunity of collaborating with Artist Dominic Harris and his team at Cinimod Studio on the creation of a dynamic physical representation of a butterfly, to express the essential character of this exquisite creature in responsive form and movement. From the outset this creative homage to the butterfly was to be in the scale of the actual creature so as to gift the viewer an experience breathtakingly similar to when one appreciates the fluttering of a butterfly in the wild. How does the butterfly feel when it is dancing through the air? What is the structure of this motion? Where is the freedom and what restriction is required within a mechanism to express this? What material and fabrication method is most suitable to carry such a movement? Our solution was not gained within an instant and the process of prototyping and redesigning has been a great pleasure and an amazing challenge.